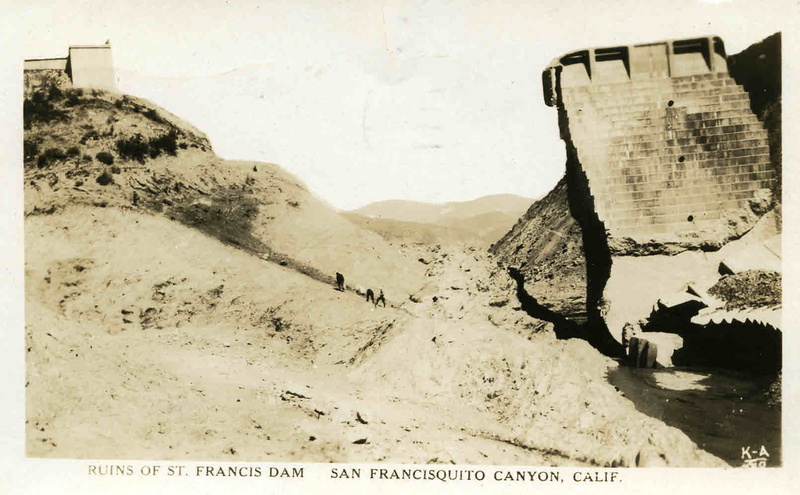 Real photo postcard: Ruins of dam, postmarked April 13, 1928. 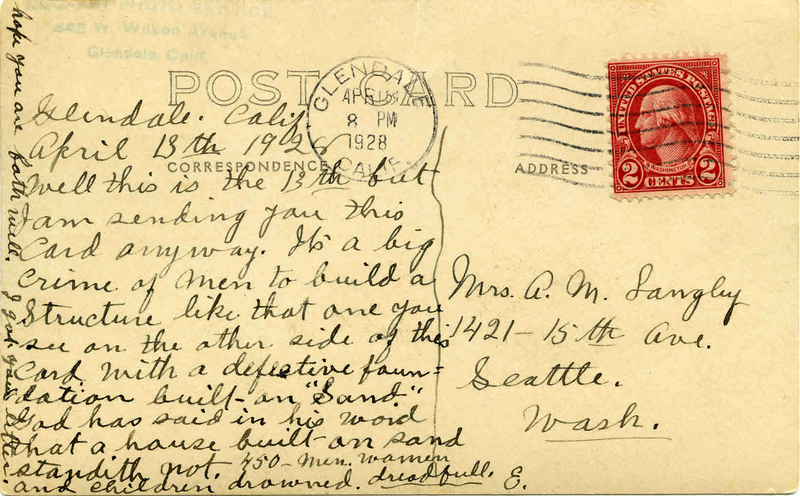 On reverse side of postcard is a letter postmarked "GLENDALE CALIF, APR 13, 8 PM, 1928. Has red 2 cents United States postage stamp with portrait of George Washington. Well this is the 13th but I am sending you this card anyway. It's a big crime of men to build a structure like that one you see on the other side of this card with a defective foundation built on "Sand." God has said in his word that a house built on sand standith not. 450 min. women and children drowned. dreadfull. hope you are both well. I got your letter.